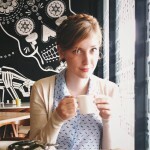 Journalist Jessica Morris was 12 years old when she was diagnosed with anxiety and depression. Anxiety sounds like a reasonably gentle word, given its scope and breadth – and how profoundly it can impact on the lives of those who are affected by it. People use it all the time, to describe the feeling you get before a first date or when you’re about to check your grades for that big assessment. There’s a similar phenomenon with depression; people often say they’re feeling depressed without necessarily suffering from the mental illness. For many, though, these emotions can be debilitating and feel completely irrational. It’s for this reason that speaking out about experiences of mental health is so necessary, to destigmatise and demystify them, and to present them accurately. 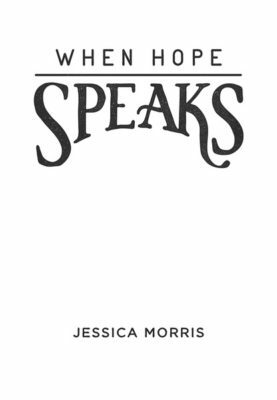 Released on World Mental Health Day this year, Morris’ memoir When Hope Speaks is a beautiful articulation of what it is like to live with depression and anxiety disorder. As she travels from Geelong, Australia to Nashville, Tennessee, she speaks, with optimism and resilience, of the moments which helped shape the woman she has become, and evocatively expresses her mental illnesses’ self-destructive absurdities and their temporary cessations as she learns to cope. In the introduction to the novel, Morris describes herself as the girl who was ‘afraid of everything.’ However, it quickly becomes apparent that this is no longer the case, as she traverses the globe, befriending people radically different from herself and growing as a result. The most powerful chapters of the book are those which remind us to hold onto hope, even when it feels as though there is no real reason to. The first chapter begins with a vivid portrait of what hope is and what it feels like. In a political climate where many of us feel disillusioned and distressed, this provides a comforting reminder that there is hope, even when we are afraid. Although each of the chapters are connected by the overarching theme of mental illness, the book deftly explores a wide variety of topics including feminism, travel, God and religion, and relationships. I felt that this book – which can be read intermittently, as the chapters are equally as strong on their own as they are a collective – resonated with me the most when it was speaking abstractly about hope or anxiety. In parts, Morris’ voice is that of an old friend, speaking directly to the reader in a comforting and warm tone. ‘This is for you and I, taking one more step. And taking the land we know we will possess. Here’s to today, and here’s to content. Because we will get there.